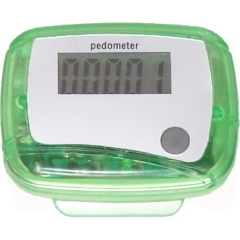 Never underestimate a pedometer seeing its size. This device is quite enough to carry your brand name and logo to prospective customers. 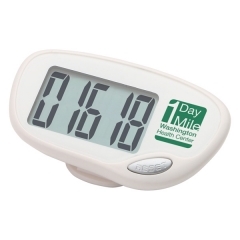 Bring out the best designs and imprint your brand name, logo and other information you wish to spread on these custom single function pedometer. These are effective promotional articles that propagate your brand name as they will be used by your customers every time they walk. It displays the number of steps taken from 1 to 99,999 on an easily readable screen that faces up. The clip provided below the promotional single function pedometer makes it easy to carry wherever your customers go. 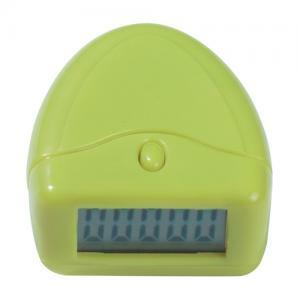 The lime green personalized single function pedometer definitely grabs the attention of the people wherever it goes.